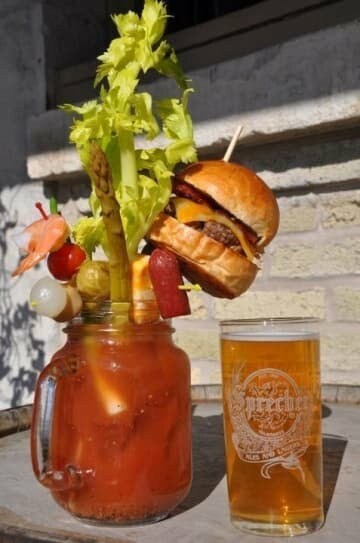 Sometimes it’s unclear where the garnish ends and the buffet table begins. 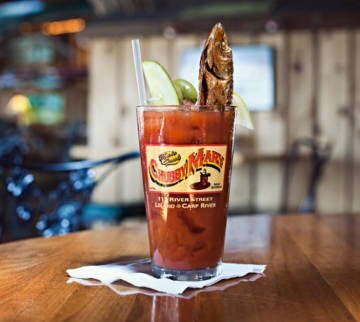 Here are our craziest Bloody Mary picks. 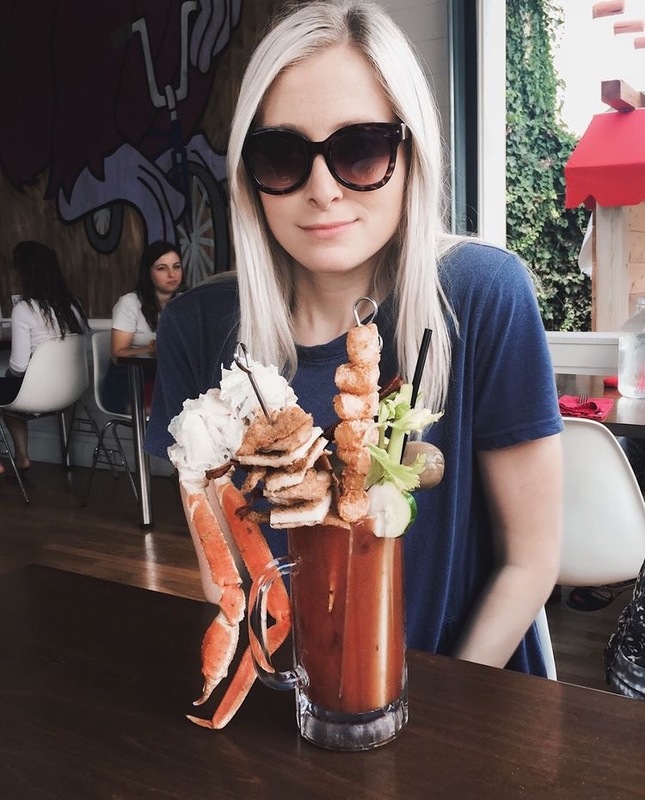 Hey I'm a lobster kinda gal! 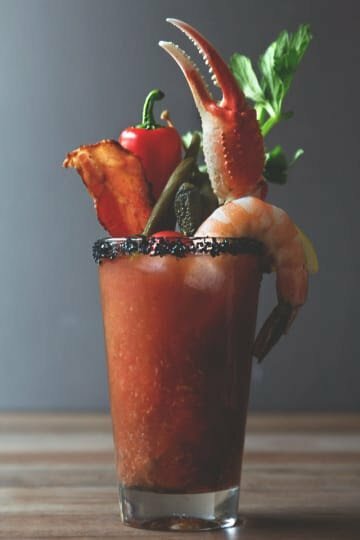 This Bloody Mary is so intensely garnished, you need a beer to wash her down. 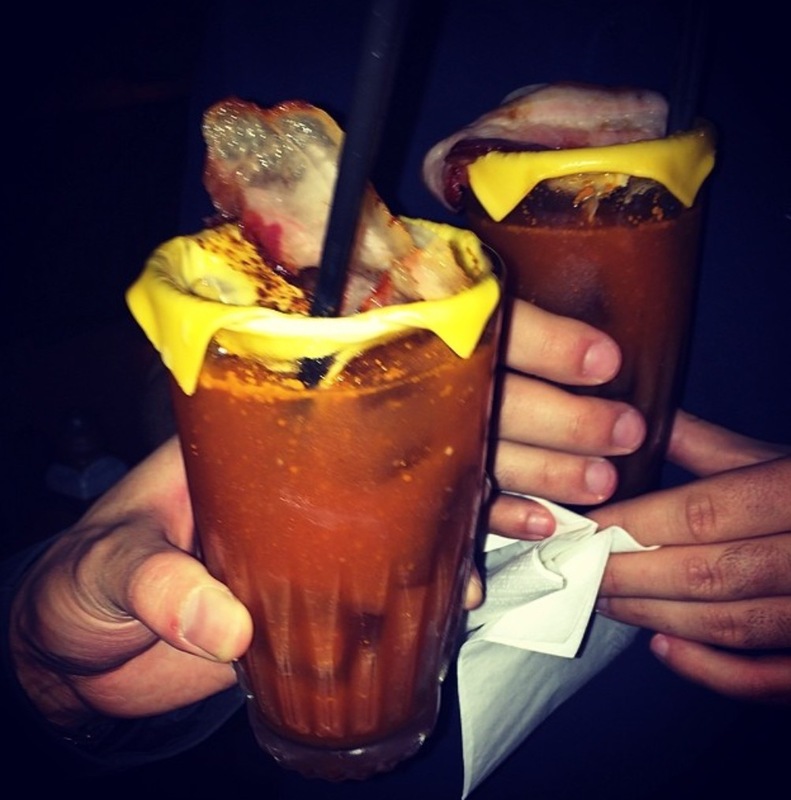 This Bloody Mary got cold and reached for a cheese blanket. 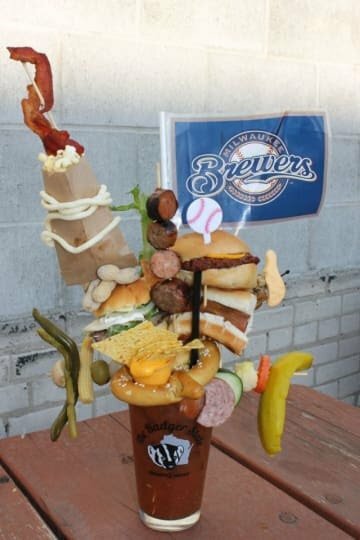 This Bloody Mary pays tribute to the Milwaukee Brewers by defying gravity.